Ah, the dreaded plastic bag. We see them almost everywhere we go – outside our homes, on the side of the street, at the park, in the ocean. It’s a remnant, and token, of convenience at its worst. But the times, they are a changin’. 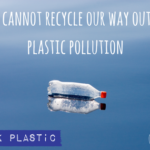 Citizens and organisations around the world are working towards finding solutions to mitigate the use of plastic bags, as can be seen by the vast representation of ‘Break Free From Plastic’ members. Moreover, there’s no better time than today, on International Plastic Bag Free day, to shed light on some of those progressive countries that have bid adieu to the synthetic receptacle. On the European front, Italy placed a complete ban on plastic bags back in 2011 and France a partial one in 2016, which disallows the use of lightweight plastic bags less than 50 microns thick. And while no other European countries have come to terms with a complete ban on plastic bags, countries like Belgium, Denmark, the United Kingdom, Finland, Luxembourg, and the Netherlands have opted to place a tax on them instead, which has produced some promising results. According to a recent European Commission report on the matter, Ireland has experienced incredible success since placing a tax on plastic bags in 2002, reducing overall usage by nearly 95%. Nevertheless, although we’ve seen success in taxation, it’s important to remember that we are creatures of habit, and unless plastic bags are ridden of altogether we might very well adjust to the tax as old habits resurface in the long run, as the Guardian points out. 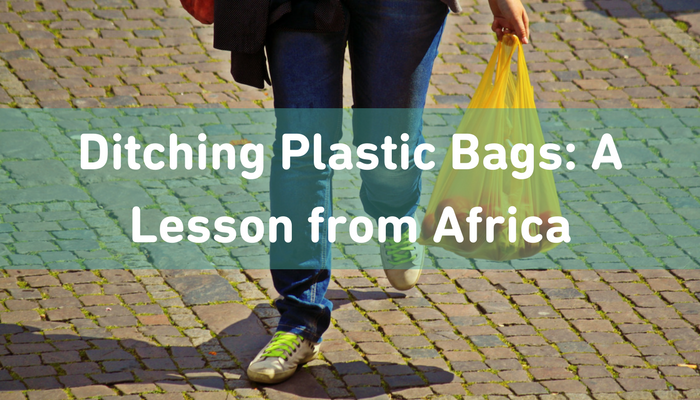 On the other side of the spectrum, acting as the catalyst to the plastic bag ban movement, Africa has been making waves over the years as more and more countries put bans in place. He’s absolutely right. Africa is leading the pack on the plastic bag ban revolution, and handily so. This is mainly due to their direct experience with the dark side of plastic bags, which pose a grave threat to their livestock and wildlife while also contributing to increased pollution levels, leading to clogged drainage systems, which later serve as birthing grounds for Malaria carrying mosquitos. Of Africa’s 55 recognised states, at least 7 – Rwanda (2004), Eritrea (2005), Tanzania (2006), Mauritania (2013), Morocco (2015), Senegal (2016), and Kenya (2017) – have implemented a complete and total ban on the usage of plastic bags, while over 15 countries from the land of the Sahara apply either a partial ban and/or tax. Africa’s not an isolated case either. Asia is also feeling the ill effects of plastic bag usage and as a result, countries like India (2002), China (2008), Myanmar (2009), and Bangladesh (2002) have instituted partial to full bans. By enacting this mandatory directive, the EU hoped see ambitious initiatives and innovative solutions ooze from its cherished Member States, however, the results after more than 7 months are far from gratifying with many Member States doing the bare minimum or, in worst cases, not even following through on their commitments. One thing’s for certain, if we really want to escape this plastic nightmare, banning, not taxation, is the key. This is especially true since there are simple, readily available sustainable alternatives like reusable cloth bags at our disposal today. The fact of the matter is that we here in Europe need to follow Africa’s lead and ban the use of plastic bags outright, not put a Band-Aid on the situation. 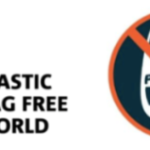 That’s why today, on International Plastic Bag Free Day, let’s show the EU and our respective Member States that a plastic bag free world is what we want. Grab your cloth bags and spread the word! As a guy who has a passion for sustainability and eco alternatives, Chris naturally came upon the Zero Waste revolution back in 2014. To Chris, Zero Waste not only fueled his desire to shape a world without waste, but also opened him up to a lifestyle based on harmony through simplification and purpose. Today, Chris continues his journey and seeks to inspire those through written word to put an end to waste by taking action. Great article Christopher – I had no idea Africa had made such amazing progress. It’s so encouraging to see the stats, and I’m glad we’re finally taking the matter seriously in the EU. Let’s hope it continues and we can eventually get rid of them altogether.